One reason Roto Frank of America and Roto Fasco Canada’s business model works so well, is that both companies share the same philosophy: Stay close to the customer and create superior value. This is actually part of their broader mission statement which can be seen in many locations throughout both companies. However, it is more than a statement that is simply posted to the wall; it’s a practice that is put into action every day. 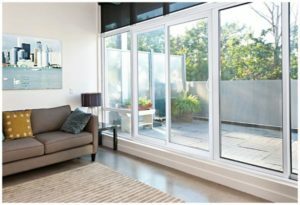 Roto Fasco’s relationship with Sunview Patio Doors, Ltd. of Ontario, Canada is a compelling example of this. 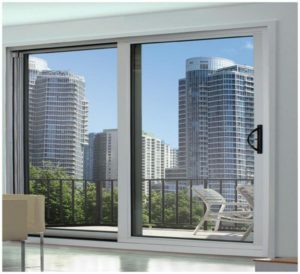 Sunview Patio Doors outfitted with Fasco hardware provide great performance and value. 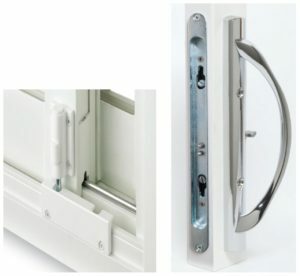 Sunview’s 2900 Aluminum Series patio door features Fasco’s Multi-Point Lock, a heavy-duty locking system which provides two locking points on the door frame and comes standard. A two position Kick Lock mounts to the bottom of the door and serves as a secondary lock while the door is in the closed position. Available in white, beige or brown. In addition to Domenic Amendola’s personal service, Fasco’s intuitive Kanban inventory system with its automated re-stocking functionality is another factor that has contributed to Sunview’s success in serving their customers. “Because of Fasco’s stocking system, we carry very little inventory and have access to all Fasco’s colour and security options. This has been important to our growth and has enhanced our ability to quickly and efficiently deliver products to our customers. We pride ourselves on the quality of our patio doors as well as our on-time delivery. Fasco plays a critical role in both of these areas,” says Margiotta.